Forge Motorsport Universal Intercooler - E Series UNIVERSAL - Dezod Motorsports Inc - Home of the automotive performance enthusiast since 2002. This is all at a price considerably lower than one might expect to pay for intercoolers with this level of quality, size and performance. 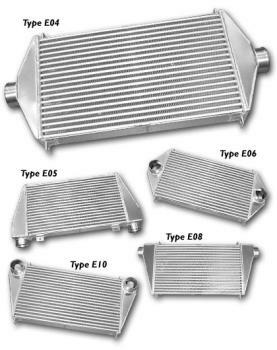 We can also offer custom designed intercoolers manufactured to your specifications and at prices well below what other manufactures charge for ‘off the shelf’ designs. Contact us for more details.